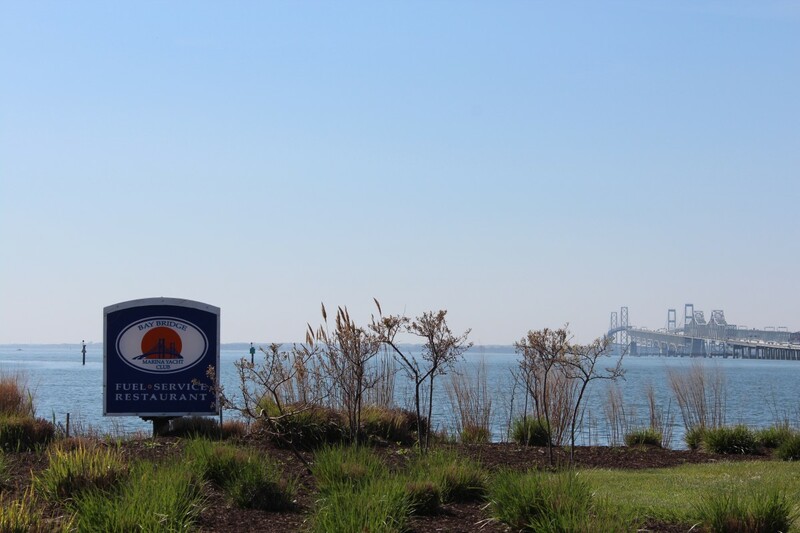 The Nation’s Premier Cruising Event Travels to the Upper Chesapeake! 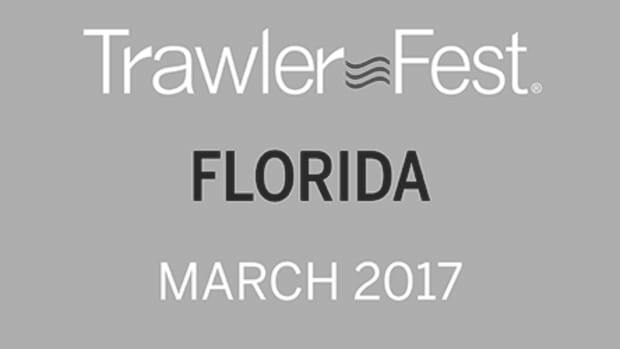 TrawlerFest is PassageMaker’s stand-alone series of boat shows, specifically designed for cruising under power enthusiasts. 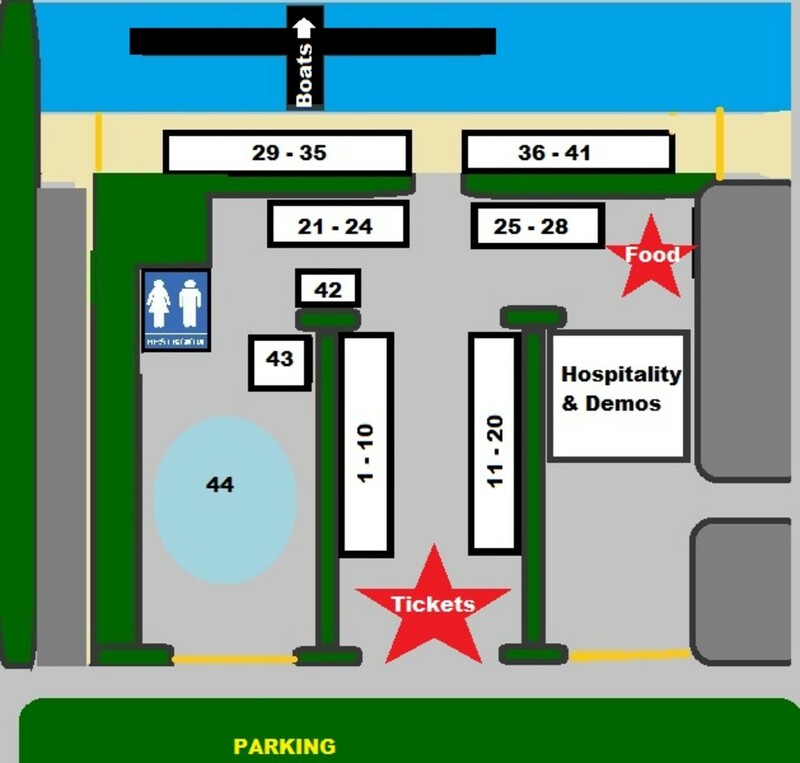 Strategically located in key cruising regions nationwide, TrawlerFest showcases the nation’s best in-water display of cruising powerboats, first class boating courses and demonstrations, all the latest in marine products & services, and rendezvous-style evening events and activities! 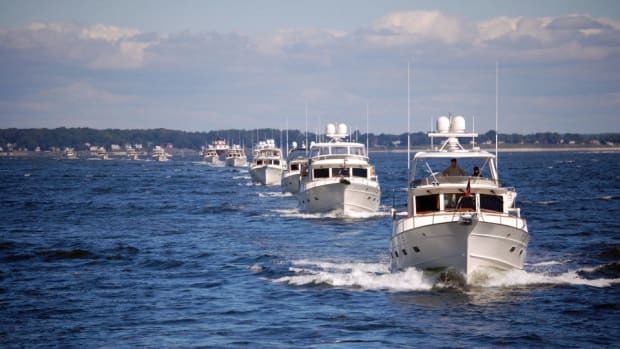 Show Dates: September 29 through October 1, 2016, from 10:00 a.m. – 5:00 p.m.
For information about TrawlerFest call our dedicated number (410)990-9086 ext 22 or email us at Trawlerfest@passagemaker.com. 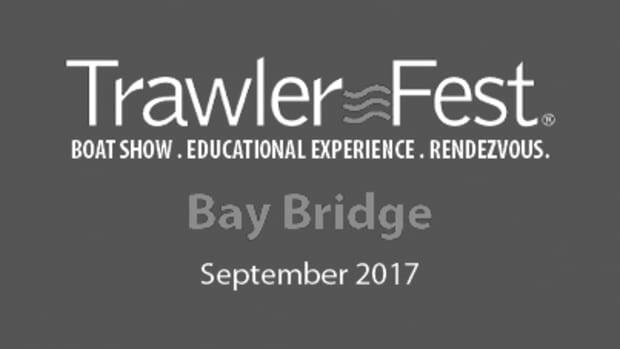 Want to Volunteer at TrawlerFest? We are looking for volunteers during the In-Water Show. Contact Megan at (410) 990-9086 x22 or mgildea@aimmedia.com if you are interested. Please consider adding $2 to your registration to support this great cause! Click here to learn more about CRAB. Tuesday, Sept. 27 & Wednesday, Sept 28 8:30 a.m. – 5:00 p.m. This is not the only diesel engine course for boaters, but it is the only diesel engine course for boaters taught by renown author/researcher Nigel Calder and veteran boatbuilder and yard operator Steve Zimmerman. Calder’s status is such that when he makes an observation about engine performance, the engine manufacturers themselves pay attention. It is also worthy of note that unlike most other engine instructors both Calder and Zimmerman are real-deal cruisers, who bring this perspective to the curriculum. This two-day session combines classroom time with hands-on engine time in the shop. It also combines theory and practical troubleshooting instruction, and it does so with a touch of humor to keep things lively. PARTY/CEREMONY: Attendees and spouses are welcome to a “graduation” party after Wednesday’s session, during which certificates of completion will be awarded, and a good time will be had. In some cases the certificate of completion may help attendees save money on their boat insurance. Tuesday, Sept. 27 8:30 a.m. – 10:30 a.m.
From their first weekend adventures to living the dream aboard a 44-foot trawler, your eyes will be opened by Captains Chris and Alyse Caldwell as they share their experiences cruising together– and still managing to like one another! To live and work together in a small boat– even 60 foot boats can seem small-couples will need to find your comfort zone and understand each persons role aboard. True, you can only have one Captain but if you both contribute different skill sets then you’ll have 100 percent teamwork. Bring your tablet or laptop and we can show you a few tricks for easy navigation and trip planning too! This presentation is a must for future cruisers who are wondering how it can be done. Tuesday, Sept. 27 10:45 a.m. – 12:30 p.m.
Captains Chris & Alyse Caldwell share much more than your typical shopping list. These experienced cruisers will help you learn what you should bring along to prepare for your cruise away from home port. Consider everything from spare parts and tools to first aid and groceries and how to replenish these supplies while cruising. Then where do you store these items? We will explore what works in the real world of boating and what doesn’t. You just might rethink the way you’ve always done it. Tuesday, Sept. 27 1:30 p.m. – 3:30 p.m.
As oft stated, cruising is a couple’s activity. Unlike the Navy, which leaves seamanship to the Bosun and crew; knowing the ropes is just one more job for mom and pop. Professional mariner and trainer Doug Dickinson will teach the class how to tie the basic knots and hitches that cruisers need, not just for routine maneuvers but in the event of emergencies. He will also cover the cooperative line handling for docking, anchoring and other events. This seminar is for boaters who want to “maintain an even strain,” literally and figuratively. Tuesday, Sept. 27 1:30 p.m. – 5:00 p.m.
Are you truly confident that you always know where you are and how to get to your destination? Whether you’re new to navigation or just want to get up to speed with the latest technology, this mini-course is for you. Instructor Bob Sweet is a senior navigator and author of The Weekend Navigator, GPS for Mariners, Using GPS, Using GPS with Charts, and consultant to OceanGrafix. Sweet’s seminar is a comprehensive “quick start” guide to navigation. You’ll learn the essential skills from planning a cruise, through navigating it and checking along the way. You will learn how to use conventional charts with your electronics in a complementary way to ease your navigation tasks and ensure your safe arrival at your destination. You’ll also learn some neat tricks for adjusting your navigation along the way and making your task a lot easier. You will learn about tides and currents and how to adjust to them. This also is a great course for mates and crew who would like to share in the navigation. Wednesday, Sept. 28 8:30 a.m. – 10:30 a.m.
Ready to start Living the Dream? This seminar will whet your appetite for cruising. Captains Chris & Alyse can help you plot your course along the Atlantic Intracoastal Waterway all the way from mile marker zero in Norfolk VA to the Florida Keys. 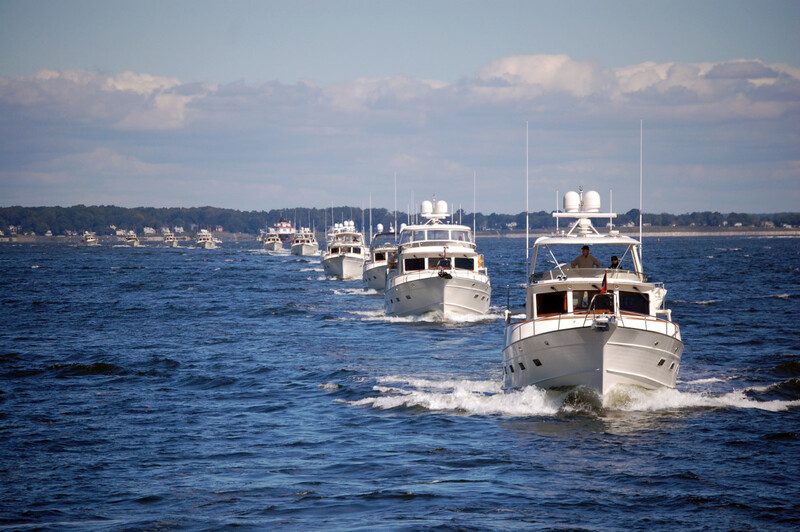 Learn a few tips to keep you in the deeper channel and off the sandbars from experienced cruisers who traveled the route in many different size trawlers- with as deep as a 7 foot draft. There are details to explore such as tide, currents and drawbridges that are specific to cruising the Atlantic coast. Here’s a peek at where you may travel when it’s your turn to live the dream. Wednesday, Sept. 28 10:45 a.m. – 12:30 p.m. Attending this seminar is your first step. Sara & Monty Lewis are the authors of Explorer Chartbooks, indispensable guides for anyone wishing to take a boat to the Bahamas. The Lewises share decades of experience, advising attendees how to prepare themselves and their boats, how to provision and what to expect as they move from island to island. They will also talk about weather patterns and provide reassurances about security in the island nation. You know the type. He (or she) is an individual only capable of learning from their own mistakes. This seminar is not for them. This seminar, presented by a hard-nosed delivery skipper and trainer, is for people capable of learning from the mistakes of others. As Dickinson likes to say, “Good judgment comes from mistakes, most of which come from bad judgment.” Dickinson’s talk is a compilation of small details that can make the difference between safety and danger, convenience and frustration, pleasure and unpleasantness. Bring your questions. Wednesday, Sept. 28 1:30 p.m. – 3:30 p.m.
Cuba is waiting to become one of the greatest boating destinations in the world. Moreover it sits astride the cruising routes to everywhere else in the Caribbean, a convenience denied to U.S. boaters since the 1960s. Just back from Havana where he ran AIM Marine Rallies to Cuba program, Peter Swanson will help attendees navigate the regulatory waters of travel to Cuba and what you can expect to find once you arrive. Going cruising is suppose to be the greatest adventure of our lives. Failing to document and share these adventures, given the new technology available, is a disservice to friends, family and posterity. Gary Reich has been providing articles and photographs for boating publications ever since working as an editor at Waterway Guide, and he has a raft of simple ideas for making your photography great. The seminar will also includes an overview of the online storage and sharing options and the advantages of social media, not the least of which is Facebook. Wednesday, Sept. 28 1:30 p.m. – 5:00 p.m. This course, combined with an on-the-water session (see THURSDAY) will develop skills in close quarters maneuvering and docking, not to mention the confidence gained from having been taught by some of the very best instructors in the business. Bob Sweet is the author of several marine titles including Powerboat Handling Illustrated and The Instant Handbook of Boat Handling, Navigation and Seamanship. Wednesday is all class time, then on Thursday, the class breaks down into groups and goes out on the water to put what it has learned into practice (SEPARATE REGISTRATION REQUIRED). Attendees will receive a certificate of completion that in some cases may help save some money on their boat insurance. *Thursday On The Water sessions are SOLD OUT. But additional sessions have been added on Friday & Saturday from 8:00 a.m. - 9:45 a.m.
Thursday, Sept. 29 & Friday, Sept. 30 8:30 a.m. – 12:00 p.m.
George and Pat Hospodar, active cruisers authors of Reflections on America’s Great Loop and The Great Loop Experience from Concept to Completion, will guide attendees through the important practical considerations that should be made before even undertaking this trip. These topics include: outfitting your boat, route planning, finances and insurance, health considerations, security, time frame and lifestyle factors, types of locks and lock safety, Canadian and U.S. clearance procedures. Bring your questions. BONUS: All seminar attendees will receive a free 1 year membership to the America&apos;s Great Loop Cruisers&apos; Association (AGLCA). Information will be given out on Day 2 of the seminar. The theme on morning two is “the fine print,” and it begins with yacht broker Vin Petralla on how to choose the right yacht broker and the elements of a good sales contract. Insurance veteran Cary Wiener follows with a behind-the-scenes look at marine insurance and the elements of a good cruising policy. 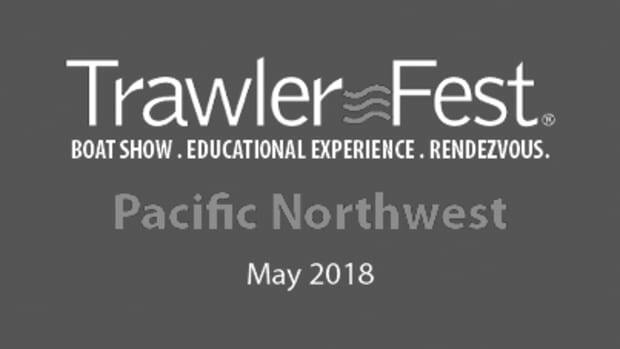 Topics will include navigation territories, coverages, claims liability coverages, international medical coverage, north/south restrictions, named windstorm deductibles and the differences between the agreed value and actual cash value policies. Maritime Attorney Todd Lochner then cautions buyers on the intricacies of local tax laws for East Coast cruisers. The second morning ends with the panel from both days answering audience questions, and, as has sometimes happened in the past, disagreeing. Thursday, Sept. 29 8:30 a.m. – 10:30 a.m.
For marine radar, World War II is over…finally. Marine author and trainer Bob Sweet will discuss the recent and rapid rise of solid-state multi-frequency radar and the demise of pulse technology originally developed during the Battle of Britain, and what this means for today’s radar consumers and operators. Sweet will share the theory and practical tips that participants can use to get the most from their radars. Now is truly the time for a radar seminar. Certificate of completion. Thursday, Sept. 29 10:45 a.m. - 12:30 p.m.
Thursday, Sept. 29 3:00 p.m. – 5:00 p.m.
First of all let us say what this seminar is not about. It’s not about advocating for or opposing guns aboard cruising boats. This seminar is for the coastal cruiser who has already decided to carry guns or is leaning toward that decision. The fact is anyone who cruises the East Coast between Canada and the Caribbean will pass through multiple jurisdictions whose gun laws vary wildly. What is legal in Georgia might very well result in serious legal consequences in Massachusetts or Puerto Rico. This seminar identifies the places that can cause problems for even the most conscientious armed cruiser. Presenters Todd Lochner and Greg Singer, who practice law in Annapolis, specialize in maritime law. Attendees will receive a bridge card-style hand-out, which breaks down the differences in laws in an easy to understand format. Friday, Sept. 30 8:30 a.m. – 10:30 a.m.
Friday, Sept. 30 10:45 a.m. – 12:30 p.m.
Weatherman Chris Parker, himself an experienced mariner, has been serving as a weather router for cruisers on the East Coast, the Bahamas and the Caribbean for more than 12 years. Parker’s lively and informative seminar is aimed at any one who wants the knowledge to make their own passage decisions with whatever information is available. Topics include basic weather terminology and concepts such as temperature, wind and pressure and cloud identification. Parker reviews all the different free and paid way to get weather forecasts on a boat. Everything from OCENS and Sirius, and the services provided by MFD-makers, explaining which is best for what set of cruising circumstances and what they cost. This includes a briefing on GRIB files and how to use them. Plus, he will touch on down island weather patterns and various ways to obtain forecasts. Attendees will receive a certificate of completion that in some cases may help save money on their boat insurance. Friday, Sept. 30 3:00 p.m. – 5:00 p.m.
$60 * SOLD OUT. ONLY AVAILABLE WITH VIP PACKAGE PURCHASE. 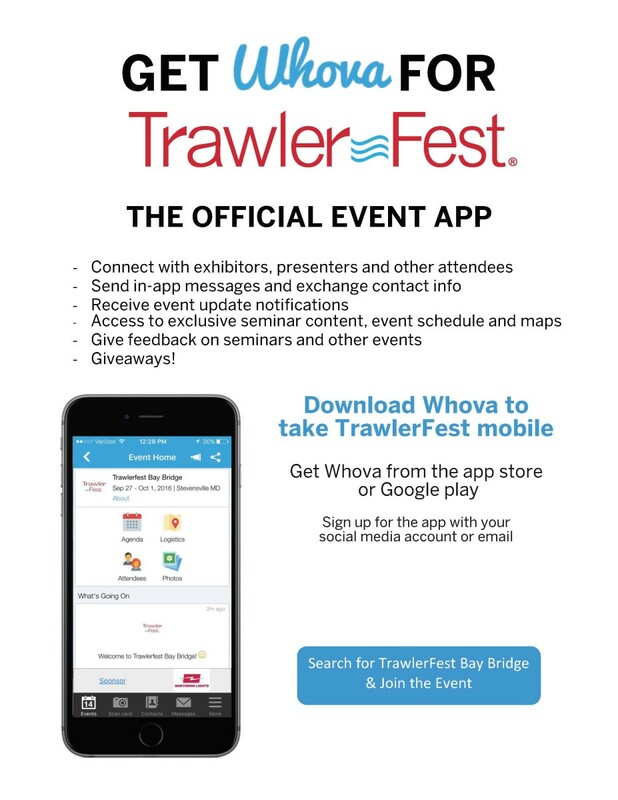 This is the only “town-hall” event at TrawlerFest. 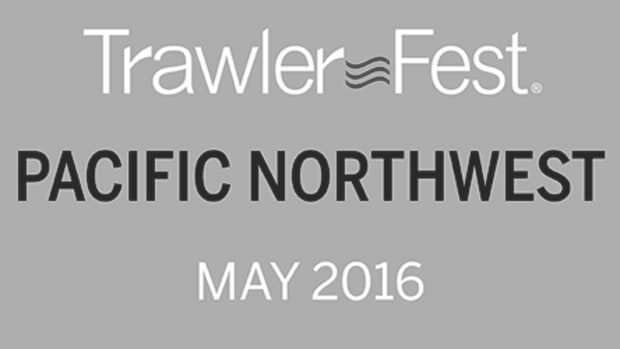 Our panel of veteran cruisers will field audience questions on a wide-range of topics, sea stories always resulting. Circumnavigator Bruce Kessler can discuss what its like to spend months and months treading bluewater. Surveyor Dylan Bailey is a veteran cruiser who learned to build boats with his father. John Clayman is a prominent East Coast yacht broker, cruiser, racer and all around boat guy. Steve Zimmerman can discuss repairs and boatyards from the point of view of both a cruiser and boatyard owner. Chris Parker is an experienced cruiser and skilled weather router for cruisers heading down island. Doug Dickinson is a hard-charging delivery skipper with the scars to prove it. Former PassageMaker Editor Peter Swanson will moderate and occasionally throw in his two cents. Saturday, Oct. 1 8:30 a.m. – 12:00 p.m.
Boatbuilder and yard owner Steve Zimmerman takes you on an in-depth look at fiberglass boat maintenance and repair priorities. Zimmerman is uniquely qualified as an instructor by virtue of nearly four decades of boat repairs, culminating today in his ownership of four boatyards in Maryland, Virginia, and North Carolina, not to mention the fact that he is an experienced cruiser. The class will begin with fiberglass boat construction, concentrating on critical areas such as core materials, gelcoat, and osmotic blisters. This session will inform boat owner decisions about repairs, and how to avoid simple mistakes that diminish a boat’s value. 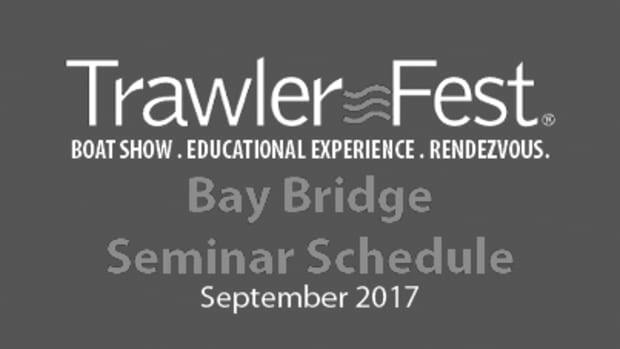 Additional topics will include annual haul-out protocols, including inspection of underwater hardware, the power train, and bottom paints. Other topics include teak decks, exterior wood coatings, and the proper use of sealants and bedding compounds. Attendees will receive a certificate of completion that in some cases may help save some money on their boat insurance. Saturday, Oct. 1 8:30 a.m. – 10:30 a.m.
Saturday, Oct. 1 10:45 a.m. – 12:30 p.m. Weather router Chris Parker continues from where he left off in his Weather Basics seminar, imparting a deeper understanding of weather patterns, GRIB interpretation and other concepts designed to make attendees more independent when they cruise beyond the horizon. This seminar is for those who have attended Weather Basics or who have a good beginners understanding of those basics. Bestselling author Michael Tougias has conducted extensive research involving people who have survived disasters and obstacles that most of us shudder to think about. He shares what he has learned about decision-making under pressure from researching his six national bestsellers: A Storm Too Soon, Overboard!, Rescue of the Bounty, Ten Hours Until Dawn, Fatal Forecast, and The Finest Hours (A Disney movie released earlier this year). Tougias dazzles audiences by demonstrating the secrets he’s gleaned from survivors and how they channeled and managed their energy into proactive decisions that saved their lives. A rare speaker on a well-researched topic, Tougias delivers motivating stories of survival essential for anyone who dreams of going beyond the horizon. Saturday, Oct. 1 3:00 p.m. – 5:00 p.m.
Thursday, Sept, 29, 2016 5:30 p.m.
Dinner, Raffle & Trivia Night! 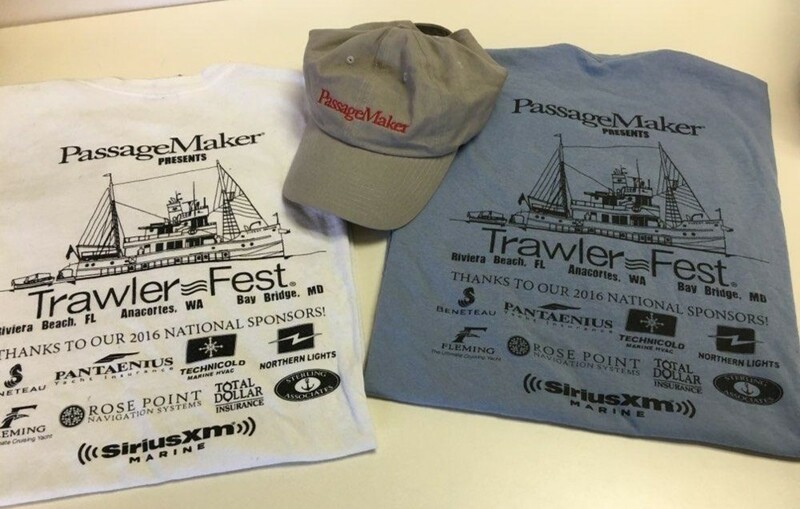 Friday, Sept. 30, 5:30 p.m.
Purchase your PassageMaker hat and TrawlerFest 2016 Shirts beforehand or at the show! We recommend booking early as it is a busy time of year in the area. 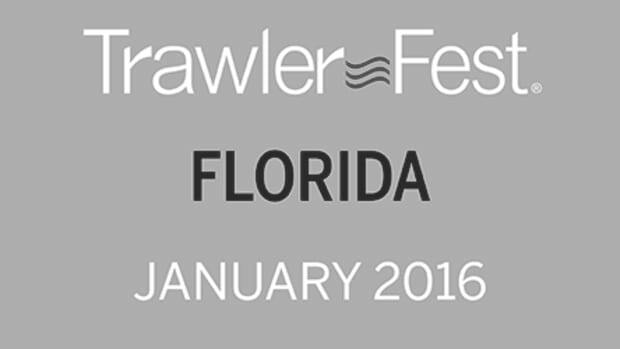 Need a Slip for TrawlerFest? Snag-A-Slip has you covered! 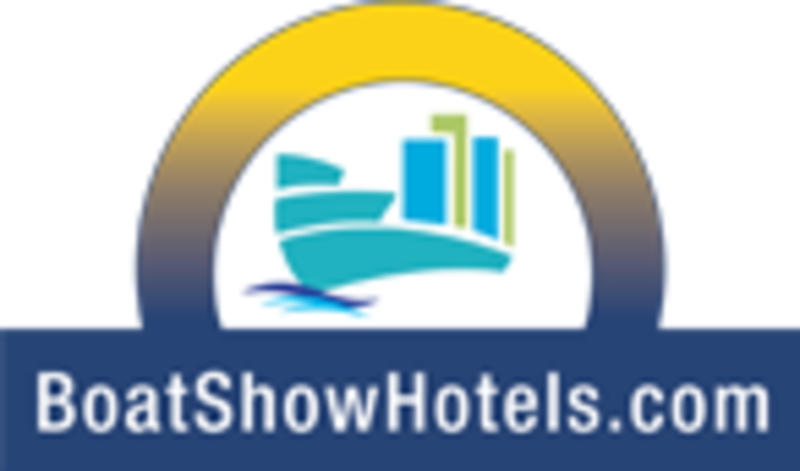 Join us for FREE demonstrations during the In-Water Boat Show! * Implication of secret implied warranties. * Review of clauses found in most yacht insurance policies. * How to negotiate with your insurance company for better terms. * An Open Forum. Ask ANYTHING about marine insurance and marine law. PC-based marine navigation has revolutionized the way boaters plan and navigate voyages. PC-based navigation systems are easier to use and offer a more comprehensive user experience and sophisticated tools than what is available on a dedicated plotter. This seminar will cover all of the basics of PC navigation including: software elements, choosing a program, charts, satellite and aerial imagery, marine grade hardware, weather information, AIS, tides and currents and more. This seminar is ideal for boaters who want to set up a PC-based navigation system at the helm or are looking for more robust tools to plan their next voyage. Buying a used cruising boat can be a challenging process. This seminar will help buyers navigate the process, including detailed information about issues on previously owned composite boats. Paying cash may not be the best way to buy the boat. Cindy will cover topics like tax advantages, tax consequences, rates and term options both fixed and variable. She will cover the basic cash flow and credit guidelines the banks look for to qualify for a loan as well as what they are looking for in the boat itself. Surveys, financing in additional equipment , age of vessel etc. are all covered in this informative presentation. Insurance plays a key role in any boat purchase and is a requirement when there is a loan on the boat. Knowing that your plans and intended use will change with the seasons it’s important to have an understanding of policies , the limitations, deductions and coverage. An agent form Total Dollar will be joining in the presentation and will be available to answer any questions that arise. All boaters want to ensure they are spending their boating dollars wisely. From buying wind surfers to rail mount grills, the cruising experience is enhanced by the presence of certain equipment. When your life is taking you from the ownership part of boating to the selling zone, you want to consider the focus of your maintenance budget. Focus on your boat’s maintenance and key service items provides for your use of the vessel and best resale results. Select improvements and visible signs of the owner’s care can go a long way to enhancing the selling experience. Just because you wear an inflatable Personal Floatation Device (PFD) doesn&apos;t mean it&apos;s ready to inflate. Learn more about different types of inflatable PFDs and their care and maintenance. Step up and volunteer to pull the rip cord and see how it works. Take a few minutes to discover which works best for you. And learn how you can easily retrieve that “Man Overboard” with our LINE TOSS demonstration too. Ask Captain Chris all about boating safety!